Rev. Dr. Anna Howard Shaw was refused for ordination by the New England Conference and by the General Conference of the Methodist Episcopal Church. 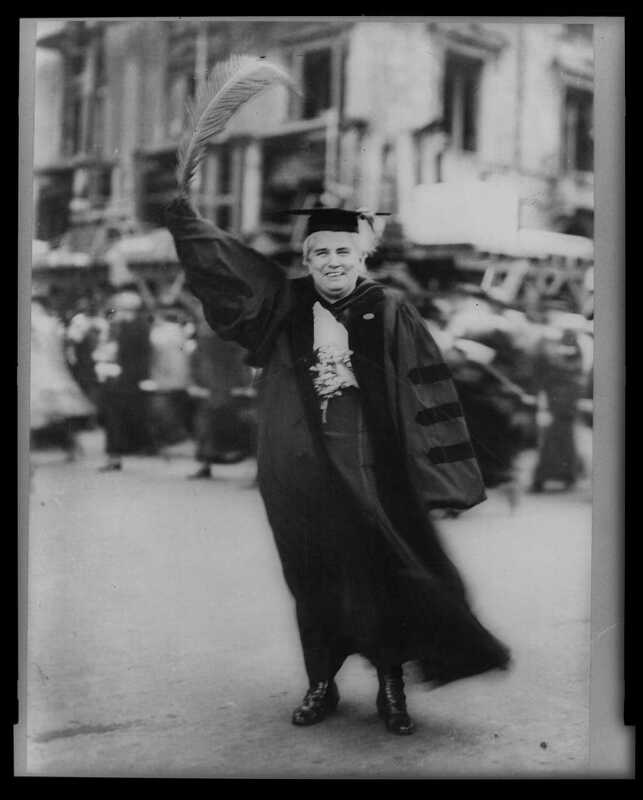 Through her persistence and confidence in God’s call on her life, she became the first woman ordained by the Methodist Protestant Church, and she later became the honorary President of the National American Woman’s Suffrage Association. I can’t fully explain what happened to me in that moment, but as he kept reading, I felt like he was reading the words of my grandmother. I had a flashback to standing before a District Committee during my first year of seminary and being treated condescendingly because I’m a woman. I heard Anna’s words, and I remembered hearing my candidacy mentor tell me after the interview that the questions asked of my male colleague were far different: more respectful, and more affirming of his call. Nobody had asked me about mine. Anna is my grandmother, and she is the grandmother of us all. She challenges all women to stand with her: not with resentment, or placidly, as implicitly inferior to our male colleagues, and certainly not quietly. Anna challenges us to stand with her with resilience and a sense of humor; with knowledge and a broader vision for the Reign of God. As I think about being a woman, a young adult, (for a few more years), a provisional deacon and a minority, Anna’s voice continues to resonate within me on many levels. I have read her full account of ordination many times over the years, and I notice something different each time. Today, in particular, I noticed her commitment to using her energy wisely: And I said I would not get out: that it was hard enough to get on anyhow and I wouldn’t waste my strength trying to fight the Church too. Our ecclesial landscape in 2014 may look different than in Anna’s time, but I would guess there are many women clergy across our connection who would agree with Anna – sometimes it’s still hard to “get on.” But what do we do? We keep speaking the names of prophets; of trailblazers, spit-fire women and witty warriors, who stood hand in hand with the compassionate and spoke words of truth. We keep speaking the names of grandmothers, and we commit to using gender-inclusive language in liturgy and worship, because if there is a young Anna Howard Shaw among us, God have mercy on us if she isn’t able to recognize herself in the Holy because we felt entitled or protective. So that’s how I was ordained. It wasn’t very glorious. It was rather like sneaking into the ministry by the back door. But if they won’t open the front door to you, what else can you do? Some day they’ll open all the front doors and make a proper use of the enthusiasm for service that women have got—not only in ministry but everywhere. But until then we’ve got to keep climbing in the best ways we can. And there’s a good deal of fun to be got out of it if you can keep from being bitter and angry. With such a fear of decline in mainline Protestant churches, perhaps what we need is a little more sneakiness, a little more strength for climbing into authentic ministry any way we can, and a greater commitment to fun. When those front doors open up all the way, I hope to be standing there. And maybe—just maybe—I’ll even see the image of my Grandma standing patiently, waving her hand in the air in triumph. Rev. Adrienne Trevathan is a provisional deacon in the Northern Illinois Conference. 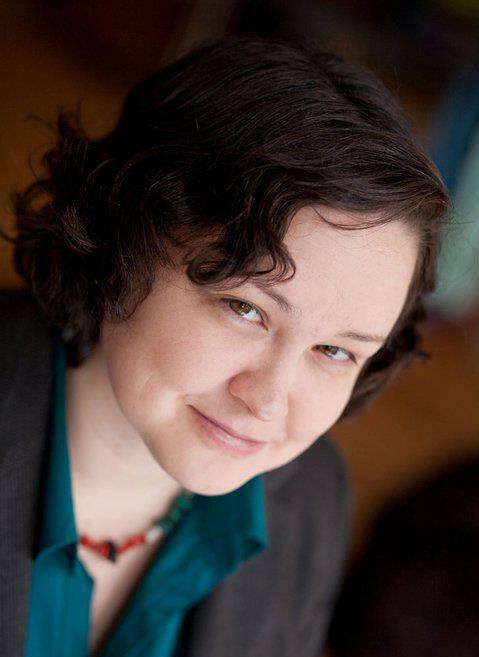 Adrienne received her Master of Divinity in 2009 from Garrett-Evangelical Theological Seminary. She is passionate about Christian Education and Native American theology, and currently serves as the chair of the Committee on Native American Ministries for the Northern Illinois Conference. *Quotes in italics are excerpts from Nancy N. Bahmueller, “My Ordination: Anna Howard Shaw,” Methodist History 14/2 (January 1976): 126-131. Want more? Check out “31 Days of UMC Women in History” or take advantage of our inclusive/expansive language worship elements for March, Women’s History Month. And be sure to check in here each day for a new commentary. This entry was posted in clergy, Equality, Leadership, Women's History Month. Bookmark the permalink. I’m often speaking of “your grandmother’s church.” This is what I’m talking about.